Differential protection for power transformers has been used for a very long time. It is based on ampereturn-balance of all windings mounted on the same magnetic core lag. In order to correctly apply transformer differential protection three different compensations are provided. Zero sequence current compensation (i.e. zero sequence current elimination). With modern numerical transformer differential relays all above compensations are provided in the relay software. Thus, it can be quite tricky to test a numerical transformer differential relay by secondary injection in order to verify that the relay is set properly to protect transformer in a particular application. This paper will address these topics as well as provide standardized solutions for secondary injection testing for transformer differential protection relay from any manufacturer. Determining appropriate CT secondary current magnitudes for injection In order to perform secondary injection the appropriate magnitude of the secondary currents shall be determined. It is well known fact that two power transformer windings are galvanically separated and have different voltage and current levels on the primary side. Thus the only common electrical quantity for two windings is electrical power which flows through them. Therefore for the transformer differential protection the maximum apparent power among all power transformer windings is typically selected as the base quantity. That was the reason why interposing CTs for the solid-state relays were as well calculated using this maximum power as a base. Ur_Wi is winding rated phase-to-phase, no-load voltage in kV. Its value for every winding is typically stated on the protected power transformer rating plate. Note that when a power transformer incorporates an on-load tap-changer (i.e. LTC) different rated phaseto-phase, no-load voltages are given, one for each tap for at least one of the windings. 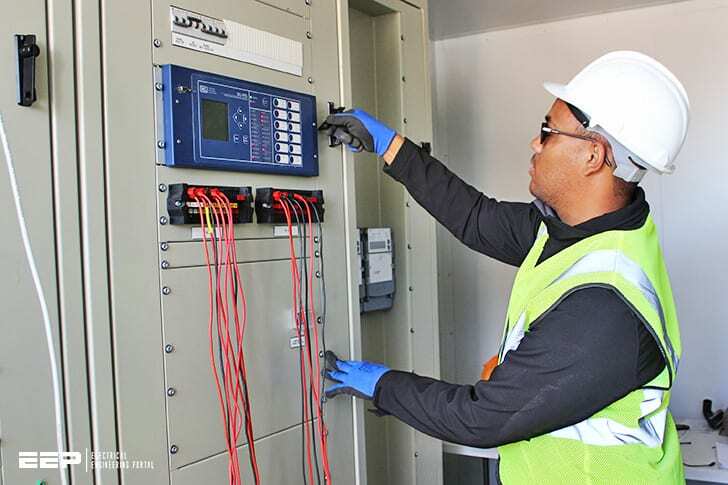 Than it is necessary to select a rated voltage for a one given tap for which it is required to perform the testing. Typically the mid-tap value is used. Alternatively relay can be tested for more than one LTC position.